Car accidents are one of the leading causes of death in the country nowadays. The consequences of these actions can be severe and may even require the assistance of a Houston personal injury attorney. In this article, we will review the top five causes of car accidents and what to do if you are a victim. Distracted driving is the leading cause of car accidents. 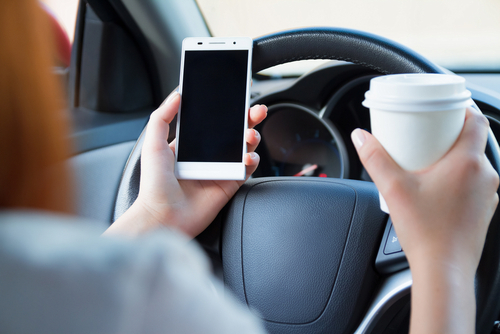 Distracted drivers are types of motorists where their attention is driven away from the road and onto other actions taking place within the car as a talking or texting on a cell phone, eating fast food or conversing with others in the car like your children. However, you can easily avoid becoming a distracted driver yourself by focusing on one and only one thing while driving, the road in front of you. Create a safe and distraction free zone while you drive to keep all drivers and occupants safe on the road. When driving drunk in Texas, you not only has reduced focus and vision, your reaction time is slowed. Drunk driving puts all who are one the road in danger not only yourself and your passengers, but you also endanger the lives of any other driver on the road with you. Drunk driving is one of the leading causes of car accidents. If you plan on hitting a bar, always have a designated driver or call a cab to avoid accidents of any sort. Although there are speed limits along common streets and highways, most drivers completely ignore speed limit signs. Unfortunately, the majority of drivers go nearly 30 mph over the speed limit, which can severely injure or kill either the driver or other people on the road. Remember, when you drive faster, it takes longer to slow down your vehicle and easier to lose control. Do yourself and every other driver on the road a favor and always obey the speed limit. Unfortunately enough, poor weather conditions happen, such as wind and rain. Driving in the unpredictable whether that may happen at a moment’s notice it is important to remember to always drive with the safety of all in mind. When driving in severe or mild weather conditions it is all best practices to drive slowly, especially if your view of what is ahead and below you is affected by the heavy rain and strong wind. To help avoid accidents on the road, pay attention to any warnings posted. Serious car accidents can occur when drivers do not pay attention to stop signs. In fact, this is the leading cause of thousands of side impact and rollover accidents each year from drivers running stop signs. Drivers should always come to a full stop and look in all directions before proceeding through a stop sign. The stop signs are there to protect lives and keep all drivers safe. Let it do its job. How Can Contacting an Attorney Help? If you are the victim of a car accident no matter the situation or cause, contact a Houston car accident attorney as soon as you can. They can help you to navigate the legal system and get you the compensation and justice that you deserve. Contact the Houston personal injury lawyers at Sigmon Law PLLC to learn more about your next steps.